Beatle Bingo Review - 300% bonus on 1st deposit! If you’re anything like Mobile Bingo Bonuses, when you search for online bingo you’re looking for something colourful, fun and exciting. We think we’ve got the ideal site for you called Beatle Bingo, which offers a quirky take on the famous pop band. But instead of the 60’s haircuts and suits, you’ll be greeted by friendly musical beetles. When it comes to games Beatle Bingo offers 75 Ball and 90 Ball Bingo, coverall jackpots, progressive jackpots and featured slots including Starburst and Gonzo’s Quest. There’s even complimentary bingo and instant games for when you’re a little short of cash and they also offer real cash prizes. The fact that Beatle Bingo is available on desktop, mobile and tablet devices, means that you have incredible gaming in the palm of your hand. This means you’ll constantly be entertained whether you’re walking the dog, commuting to work or simply relaxing in the bath. Registering on Beatle Bingo is quick and easy, and when you’re ready to make your 1st deposit you can enjoy a 300% cash match bonus on a minimum £10. 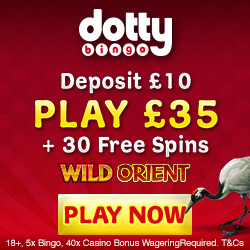 This is broken down as a 150% bingo bonus and 150% games bonus, and makes a grand total of £40 to play with. It’s not just the new players who get all the bonuses, because Beatle Bingo offer a number of regular promotions. 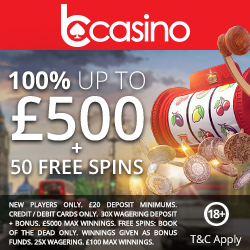 These include Spin-Tastic where you can win spins, the big £10,000 for a guaranteed share of £10,000 and the 2 million run, where 40 winners will win up to 2 million loyalty points. There’s no better way of increasing your bonus credit and adding to the excitement. If you’re in the middle of texting your friends about this great site, then wait! 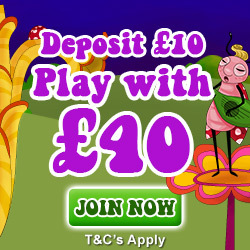 For each person you refer who registers and deposits, you’ll receive £10 in bingo bonus funds. There’s a limit of 15 referrals per month, but this is still an awful lot of gaming credit. If you enjoy making new friends and winning a little bit extra, then make sure you check out their chat rooms. Beatle Bingo offer a loyalty scheme which you join when you register and involves four levels (Bingo Rookie, Bingo Pro, Bingo Master and Bingo Champ). To move through the levels you simply wager, because for every £1 you deposit you’ll receive 12 jewels. The higher the level the bigger and better the bonuses, which includes cash back, bonus spins and tickets to the big £10,000 game. Should you require any support then contact Beatle Bingo via live chat or email. They are available 24 hours a day, 7 days a week and aim to respond within 4 hours. To enjoy the 300% cash match bonus, simply head over to Beatle Bingo to register and play.